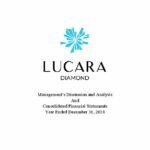 Lucara Diamond Corporation is a diamond exploration and mining company which operates in southern Africa. Its principal asset is the wholly-owned Karowe Mine in Botswana where Lesidi La Rona was found; the world’s second largest gem-quality diamond. Karowe Mine consistently produces large Type IIA stones and has an estimated worth of $US2.2 billion unmined diamonds. 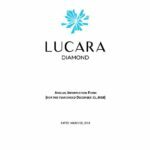 Lucara Diamond Corporation also has interests in the Mothae Diamond Project in Lesotho and the Kavango Diamond Project in Namibia. The company was previously known as Bannockburn Resources Limited, but the name was changed to Lucara Diamond Corporation in 2007. Lucara Diamond Corporation is a member of the Lundin Group of Companies with its head office based in Vancouver, Canada. Lucara Diamond Corporation is a diamond exploration and mining company which operates in southern Africa. Its principal asset is the wholly-owned Karowe Mine in Botswana where Lesidi La Rona was… READ MORE.